Find a Contortionist for hire near you in minutes! Option 1. Enter your event location below & contact a Contortionist directly! Option 2. Request multiple quotes from available Contortionists Get Quotes! Option 3. Read information & advice on hiring Contortionists Read Advice! WANT TO KNOW MORE ABOUT CONTORTIONISTS? Read on for the most comprehensive guide to booking a Contortionist, including how much a Contortionist costs, exactly what they will do at your event, plus tips, advice and information to help make your event one to remember! With a Contortionist, you will get a professional performance artist who will fit right in, whatever the occasion! What exactly will a Contortionist do at your event? A professional Contortionist will amaze your guests will daring flexible feats, using gymnastics, yoga, martial arts and dance to stretch their body's to the extreme. Watch on in awe as the Contortionist folds themselves forwards whilst keeping their legs straight, or whilst they place their legs behind their shoulders, making a human knot! Give your friend’s and family that painful look as the Contortionist does the splits! A Contortionist may also offer amazing stunts such as fitting themselves into tiny boxes! If you like your entertainment to have that fantastic squeamish factor, then a Contortionist will certainly give you that! Mainly, a Contortionist will entertain your audience with a fantastic live show that will put the wow factor into celebrations and impress your guests, whatever their entertainment tastes may be. What event types are Contortionists hired for? When the wedding ceremony has been completed, then you may want to hire a Contortionist to bend and twist themselves into odd yet beautiful poses at your wedding drinks reception! If you are looking for entertainment that is slightly different, then a Contortionist will tick the box! A Contortionist would be well suited if you are hosting a circus themed wedding! If you want your corporate event to be a tad off of the beaten track this year, then hire a Contortionist to bend your minds! A Contortionist can be set up to perform at your annual gala dinner, awards ceremony, Christmas party or end of financial year party. What a unique form of entertainment! Contortionists act as wonderful icebreakers in the corporate environment. The Contortionist can work as a stand alone act, or along side other Contortionists, and they can be a great addition to a circus themed corporate event. You may want to hire Contortionist for your festival entertainment! A Contortionist will work great on stage alongside a musical act, and they will also bedazzle festival goers as a solo entertainer in the festival fields! If you are hoping to hire a unique act for your nightclub entertainment, then a Contortionist will definitely bring uniqueness! They will bend, twist and tie themselves into human knots for your entertainment whilst the club music is blaring out! This will be a great way to compel your ravers and get them in the party spirit! Do you need some convincing on whether to hire a Contortionist for your party entertainment? Then let us twist your arm! A Contortionist will dislocate themselves just for your amusement! This is the kind of entertainment that some may find squeamish as it can be a tad unsettling to see, but once your hired Contortionist begins to put on their show, we can guarantee that even the most prudish members of public will be engrossed and bewitched by the talent on display! A Contortionist is perfect for a circus themed party! They will fit in perfectly next to an Aerialist, such as a Swinging Trapeze Artist, or an Acrobat! Most contemporary Contortionists will be able to put on a great full show as well as being part of a sideshow. So, you may want to hire a Contortionist to be your main evenings entertinament. The Contortionist will put on a full show, using atmospheric music and props such as small boxes, ropes, and even swords! A Contortionist would be great for the entertainment at your horror show! 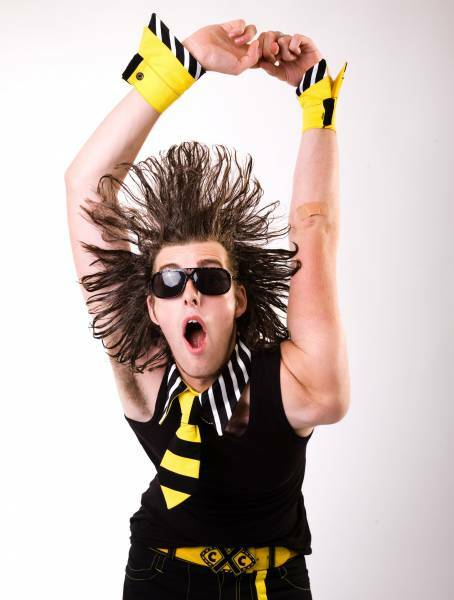 If you are putting on a party that combines music with vaudeville aspects, then a Contortionist will shine and shock! A Contortionist is also brilliant entertainment for your hen-do! A Contortionist will be fantastic fun as they give lessons to your hen-do guests on how to begin your career in being flexible! How much do Contortionists cost to hire? Our simple to use entertainment directory allows you to firstly search for the best Contortionists who are local (or travel to your area) and then via the contact form you may message them directly to enquire for a no obligation quote to perform at your event. Some acts will also add a rough price guide to their profile for your convenience. What are the usual set formats and performance length for Contortionists? A Contortionist can tailor their performance times to suit you and your event, however, on average a professional Contortionist will perform for two hours. How much space will a Contortionist need at your event? The Contortionist will need a flat floor space to perform their feats, as each act is different from the other, with performers concentrating on different aspects, we advice to use our personal messaging service to enquire. What equipment and set up requirements do Contortionists need? As with most artists who sign up to Entertainersworldwide.com, a Contortionist will provide all of their own equipment. You may want to enquire if an artist needs a PA to amplify their sound, in which case we would advise to use our easy to use messaging service to find out. We do ask that each performer gets a backstage area in which they can prepare for the performance ahead. If your venue does not have a backstage area, then we kindly ask that you enquire with the venue to seek an alternative space in which the performer can comfortably get ready to entertain. 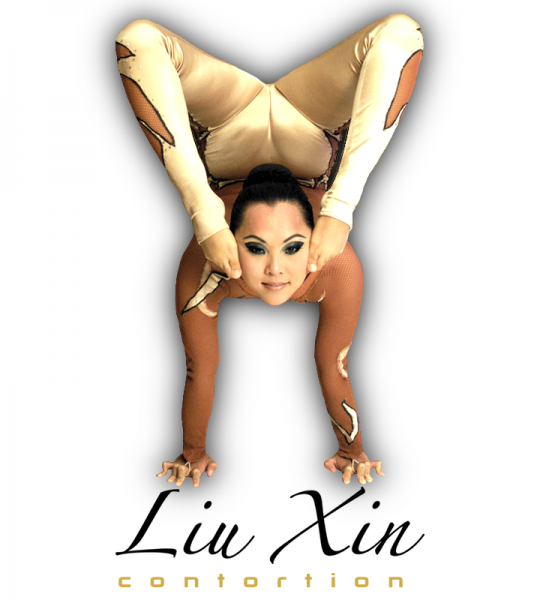 How can you find and book a Contortionist with Entertainersworldwide.com? WANT TO RECEIVE A RANGE OF QUOTES FROM Contortionists?